Over the past 15 years, science & technological innovations are emerging exponentially. There is a new product in the tech-market every day. But the dark side: these new products have also increased e-waste exponentially. This expeditious upgrade in technology is making e-waste and serious issue around the world. In recent years mobile devices like smartphones, tablets, PDAs are contributing in e-waste in large percentage. According to one of the e-waste report in 2010, 152 Million mobile devices were disposed. Average consumer of phone changes their mobile every 11 months. Every year millions of mobile phones are thrown away just because they are broken or outdated. In most of cases it is just one part that needs repairing or upgrading and all the other parts work fine. Every time we innovate something fresh & latest, we completely throw away the old one. Just imagine all the working screen displays, functioning Wi-Fi & Bluetooth, speakers we have thrown away. However, the entire phone will be thrown out because of one reason: mobile phones are not designed for hardware repairs or upgrades. What if there is a smartphone that you buy once & can stay with you forever? That is what project Phonebloks aims to do. 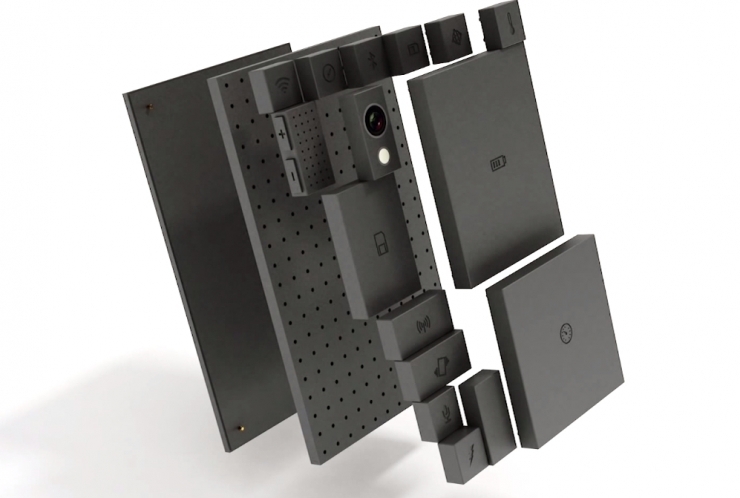 Phonebloks team is working with the help of Motorola for designing a free, open source hardware platform for creating highly modular smartphones. To understand the concept let’s take example of assembled desktop computer. In case of desktops you can upgrade your computer’s parts as needed. When you need more speed? Get a new high speed processor. Need more storage space? Get a new hard drive with space as you need. This mobile phone consists of separate components that can be assembled together. Each component/part has its own purpose i.e. WiFi, display, processor, Bluetooth, battery etc. When one of these components does not work, it can be replaced with a new one. When one of the components needs upgrading: replace that component with a new one. Choosing separate parts power to you for personalizing your mobile phone as per your needs. If you use your phone for video conference & meetings? Go for the best front camera. Do you store your data constantly in the ‘cloud’? Choose less storage. If you do not need for a specific configuration? Go back to basic phone specification. 1. Contribution towards Ecological Conservation. 2. If something is wrong with phone, then one can replace or upgrade a block, instead of the whole handset replacement. It will save your cost as well as nature. 3. User friendly customization – Everyone has a different requirement for the smartphone. For example someone needs a phone with better battery so the person will not invest much on other parts. If someone is crazy for games then he can customize his phone using better processor. If anyone wants better resolution camera then he can focus on camera & sensor requirements. This entry was posted in News and tagged hardware platform, mobile phones, Phonebloks. Bookmark the permalink.